Relationships in the workplace are common, given the frequent and essential need to share time, work and space with fellow colleagues. Generally, you are not prohibited from having a romantic relationship with another employee except in cases where the relationship conflicts with the interests of the business. Regrettably, if the relationship sours, sexual harassment claims are sometimes made. Certain types of workplace relationships are more likely to lead to a conflict of interest such as a relationship with your manager or a subordinate employee. In such cases, both of the involved employees should take reasonable steps to ensure that their actions do not negatively impact the business. Honesty in disclosing the relationship to your employer where a potential conflict may arise is of utmost importance. If you are in a workplace relationship, caution must be exercised to avoid conduct which may be construed as sexual harassment. This may occur with short-term relationships or office ‘flings’ where other colleagues may feel uncomfortable as a result of public displays of affection. 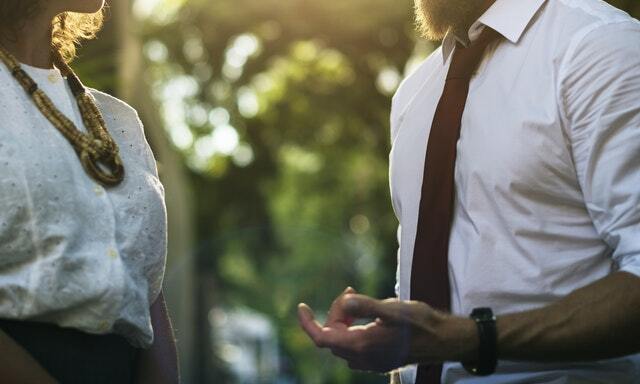 Alternatively, issues could arise if pursuing a relationship where the other employee is no longer interested, as this may be characterised as an unwanted advance. Your employer will be particularly concerned in cases of sexual harassment as it may be vicariously liable for your actions under the Equal Opportunity Act 2010 (Vic). When will dismissal be considered unfair? Determining whether your dismissal is ‘unfair’ will largely depend on the circumstances of the workplace relationship and how these circumstances may be perceived as damaging to the interests of your employer. This will be assessed in the context of the policies, expectations and culture proliferated by your employer. Your employer cannot simply declare your relationship as conflicting without evidencing the existence of such a conflict. you have engaged in sexual harassment of another employee. Alternatively, even if there is a valid reason for your dismissal, your dismissal may still be unfair if your employer engaged in an unfair process of investigation. For example, you may not have been afforded a genuine opportunity to respond to any allegations made against you or there may have been no discussions or notice prior to your dismissal. If you believe you have been unfairly dismissed and wish to seek legal advice, you can submit an enquiry below. Am I able to record conversations with managers / other employees? When does a criminal conviction justify dismissal?